Birds love the taste and aroma of bee pollen. 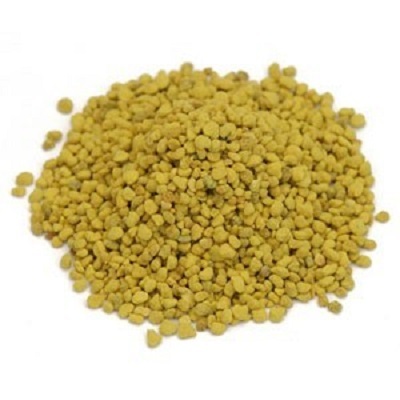 And AviPollen granules are a natural way to feed pollen. They can be sprinkled on wet or dry food or mixed into egg food. They can also be offered in a separate treat cup. Pollen collected from flowers by bees is a natural storehouse of easily absorbed nutrition for your birds. AviPollen can provide important support for birds who feather pick due to health issues. In addition to highly digestible protein, every known vitamin has been identified in bee pollen as well as 18 amino acids, 12 minerals and a huge assortment of active enzymes, fatty acids and carbohydrates. Bee pollen also contains several important hormones that encourage growth and help to build a strong immune system. Feed daily year round. Sprinkle over fruits and veggies, add to eggfood or free feed in finger trays.